Welcome to Newsday's daily live post. Here's a rundown of what you need to know to get you through the day. Check back often for updates. Newsday's Alfonso Castillo live tweeted from the first meeting of the Metropolitan Transportation Authority Metro-North Committee since the Dec. 1 fatal train derailment. Follow along. #LIRR prez says 2/3 of system has speed control tech. "Goal" is to have it everywhere, but she would not make any commitments. 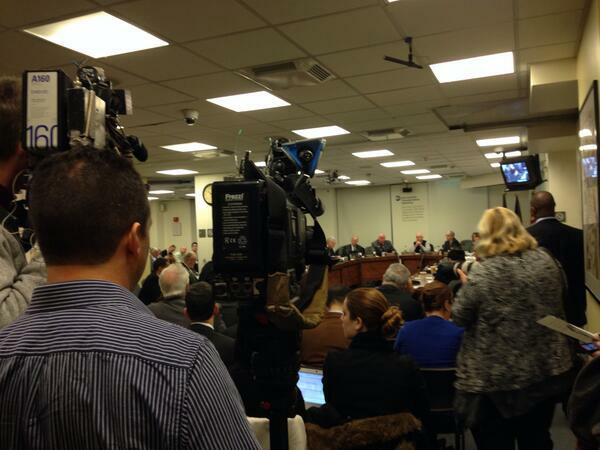 View the slideshow below to see more live tweets from today's MTA Metro-North Committee meeting. #LIRR prez unveils several new safety measures following #MetroNorth derailment including speed limit signs, more alerter alarms in cabs. #MTA board member Mitch Pally: "It is just a fact... that parts of the system are safer than others." #MTA chief: #MetroNorth & #LIRR will seek $1b federal loan to pay for new positive train control accident prevention system. #MTA Chief says, wherever possible, #LIRR will adopt same safety upgrades as #MetroNorth including speed limit signs & restrictions. Officials: #MetroNorth train had “dead man” pedal that required engineer to keep pressed down. New speed limit signs on #MetroNorth will be up by day’s end. #MetroNorth committee meeting begins with a moment of silence for derailment victims. Weather: Today will be partly cloudy in the morning, then clear, with a high of 28F and a windchill as low as 14F. While there's no snow in the forecast, Long Island could see some of the white stuff tomorrow. Here's the full forecast. 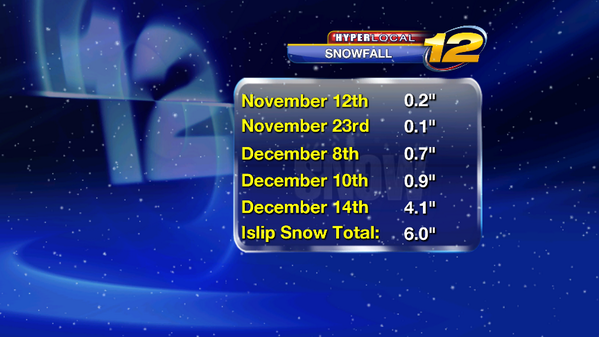 Also, News 12's Rich Hoffman tallies up Long Island's snowfall totals for the winter, so far. Traffic: A number of incidents are currently being reported around Long Island that may disrupt your afternoon commute including accidents on Montauk Highway in Oakdale and Jericho Turnpike in Lake Grove. There's also construction taking place on Ocean Parkway, Route 111 and the Sagtikos Parkway. More traffic alerts. A segment of a major thoroughfare in Hempstead Village, North Franklin Street, has been reopened for traffic after being closed at about midnight Saturday when a storm drain ruptured, police said. Here's what happened. Here's a look at today's top stories. 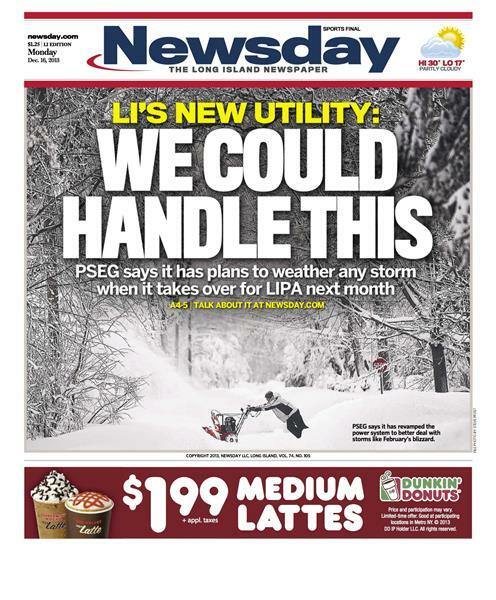 In today's cover story, PSEG-Long Island says its ready to weather any storm as it takes over for LIPA next month. Suffolk County Crime Stoppers and Third Precinct officers are seeking the public’s help to identify and locate the driver of the vehicle involved in a hit-and-run crash with another vehicle in Brentwood. Here's the full story. 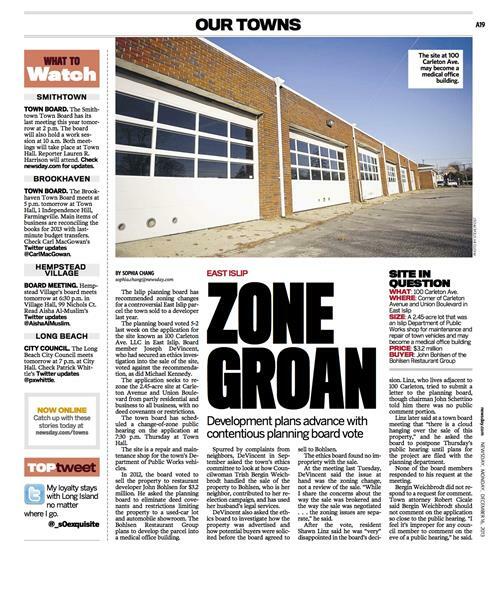 The Islip planning board has recommended zoning changes for a controversial East Islip parcel in today's cover story for Newsday's Our Towns section. The Fire Island breach that cut through the barrier island during superstorm Sandy appears to be relatively stable, has improved nearby water quality and is not putting South Shore communities at risk, according to a new report. Here's the story. 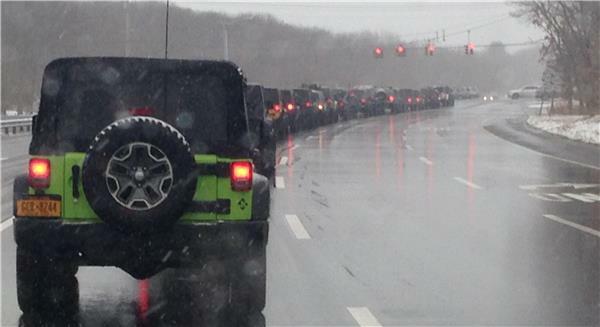 Did you notice this convoy of 30 Jeeps on the Long Island Expressway or Nicolls Road during Saturday's snowstorm? Here's what they were up to. And if you missed it yesterday, check out these locals 'tawking' about their Long Island accent in this video report. Do you have a Long Island accent? Vote in today's poll. 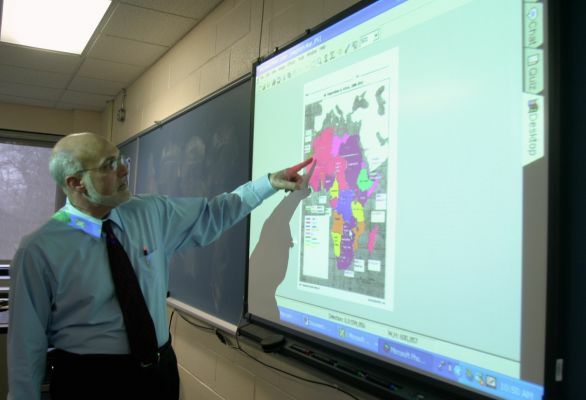 Smart boards have become almost a staple Long Island classrooms, but a decade ago, the idea of replacing chalk boards with digital devices was cutting edge as evidenced by this Newsday story published Dec. 16, 2003. Have a case of the Mondays? Perhaps, you can schedule one these events into your day. Here's a few happening around Long Island. Auditions are being held tonight at 7:30 p.m. at Five Towns College in Dix Hills for the musical, "Breaking Up is Hard to Do - The songs of Neil Sedaka." More details here. Didn't somebody say 'cookies'? There's a homemade holiday cookie sale being today from 1 pm.- 4 p.m. at The Life Enrichment Center in Oyster Bay. More information here. Disney's Beauty and the Beast the musical will be performed in Patchogue tonight. Here's the details. 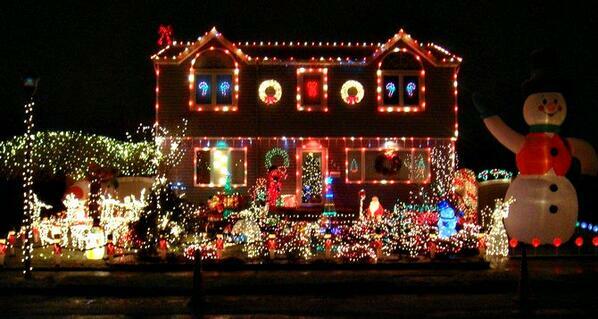 Or you can always drive around and check out these Long Islanders' fantastic holiday light displays. Today's featured Twitter profile is @MeetonLI.The official account for the Long Island Convention and Visitors Bureau is good resource to find local facilities for meetings, events and conferences. Their team of experts also tweets historical and culture facts about Long Island including various local tours and events.